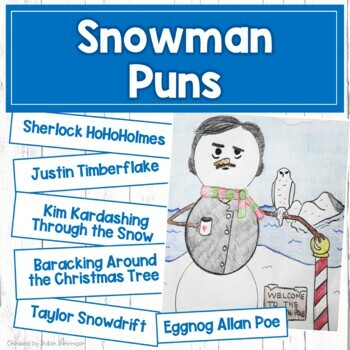 If you are looking for an original and creative activity during this festive season, try Snowman PUNS. 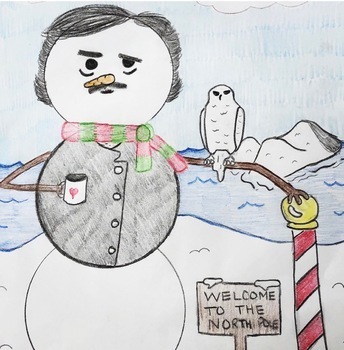 Along with the pictures you see, I included more samples of my students' snowmen inside the PDF. 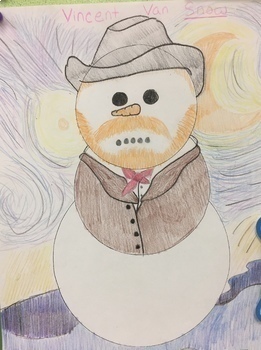 Directions: Print a generic snowman outline off Google or have the students draw their own. 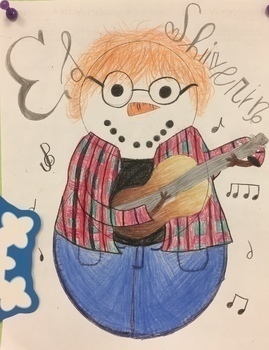 I encourage students to Google the names of famous athletes, singers, actors, etc... to find inspiration for their snowmen. I tell them to look for names that can be a "play on words" for all things winter. And they surprise me every year. Enjoy! and my personal favorite, "Stay Cold, Ponyboy!"